The city of San Antonio commemorated the legacy of Dr. Martin Luther King Jr. by hosting its annual march on Monday. 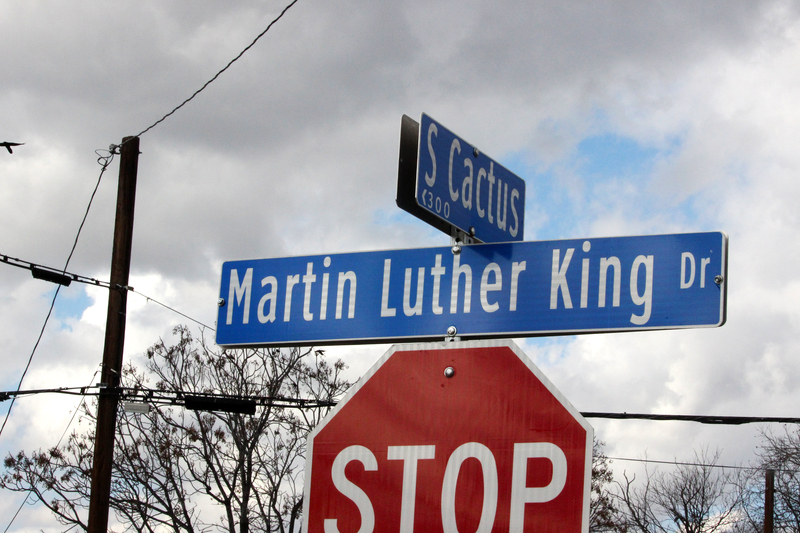 This year’s MLK March also celebrated the 50th anniversary of San Antonio’s first March for Justice, organized by the late Rev. Dr. Raymond “R.A.” Callies, Sr., a San Antonio teacher and pastor. Rev. Callies organized the March in 1968 to call attention to the need for basic infrastructure on the East Side. His efforts resulted in what has now become one of the largest commemorative marches for Dr. King in the United States. American journalist Roland Martin was the keynote speaker at the march. Martin was named the National Association of Black Journalists’ “Journalist of the Year” in 2013 and earned his third NAACP Image Award in February 2017 when he was named “Best Host” in the first year the category was created. This past week, Martin received his fourth NAACP image award. 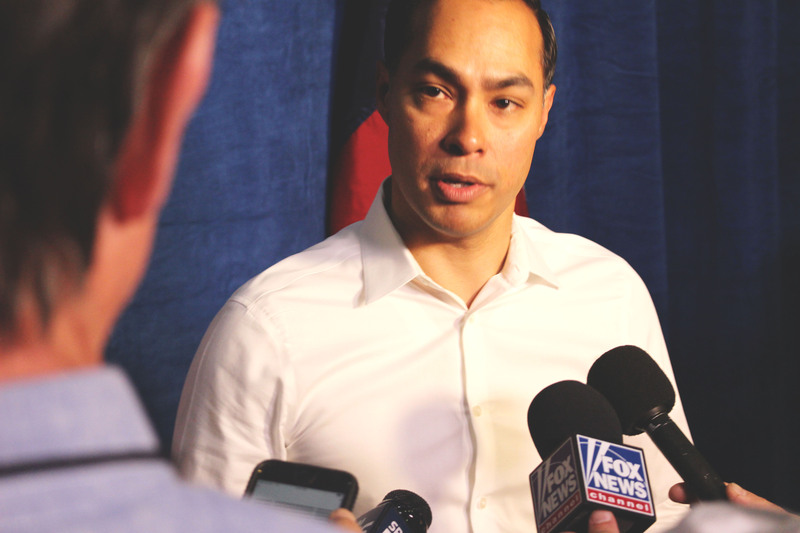 Martin emphasized the hypocritical nature of many public figures, including Speaker of the House Paul Ryan and President Donald Trump. For the city of San Antonio, the march represents one of the nation’s largest celebrations of diversity. Nery Chavez, junior global affairs major, credited the size of San Antonio’s march to the “unique spirit of community.” The city of San Antonio’s Martin Luther King Jr. Commission has estimated a total of 300,000 marchers participated in the march this year. UTSA will be represented through its students, faculty, staff and alumni. – Roland Martin, MLK march keynote speaker and journalist. Along with Montemayor, senior communication major Alicia Taylor also participated in the march. 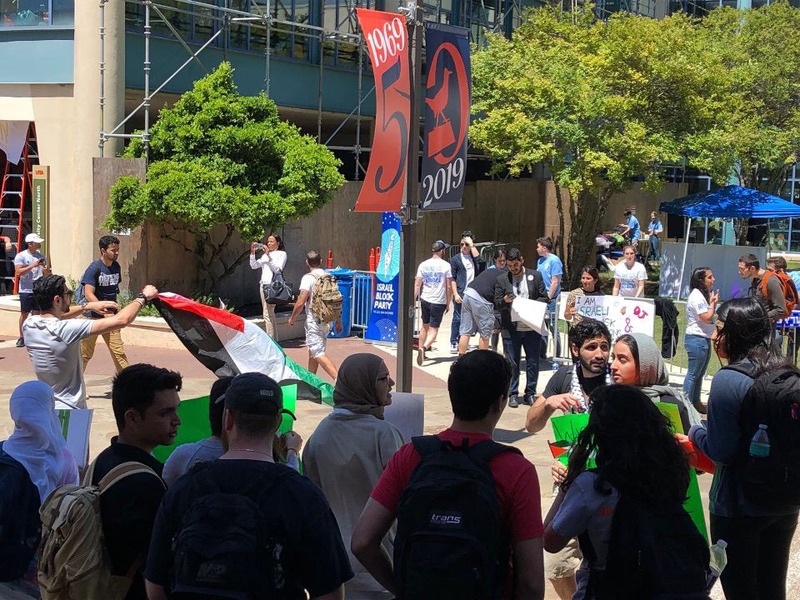 UTSA participated alongside groups such as Black Lives Matter, Planned Parenthood, MOVE San Antonio and many others. 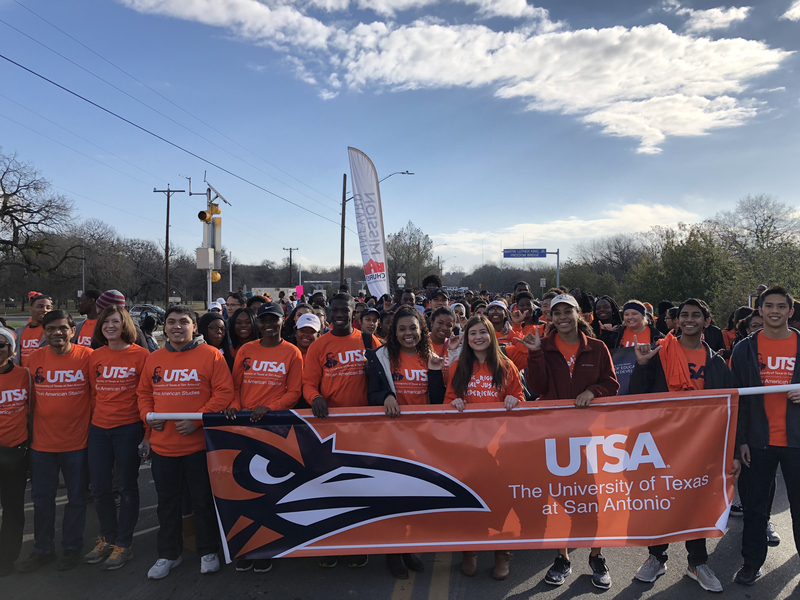 Among others, UTSA Academic Advisor Lauren Smith was proud to participate in this year’s march. Smith shared her opinion on why it is important for people to march. The march extended 2.75 miles across the MLK Freedom Bridge, and down Martin Luther King Dr., ending in the Pittman-Sullivan park. 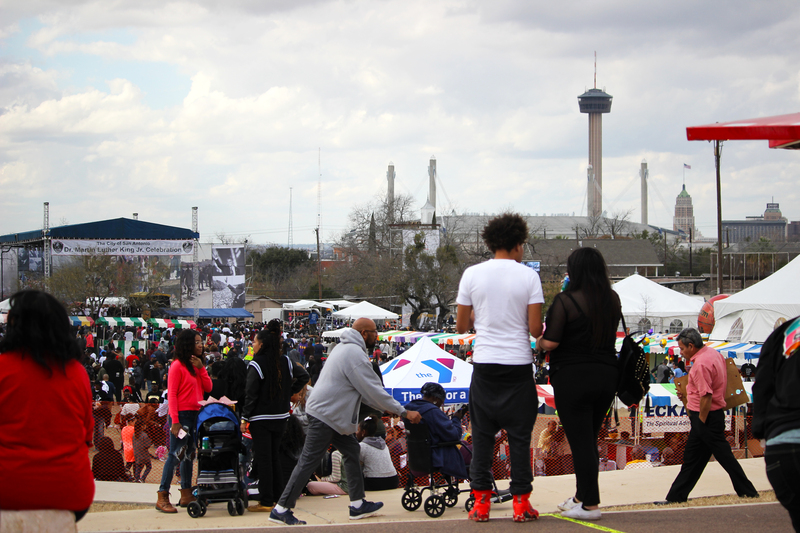 The day wrapped up with performances by local musicians as the population of San Antonio and other communities celebrated their diversity and the legacy of the Rev. Dr. Martin Luther King Jr.
Pittman-Sullivan park, where the march concluded.